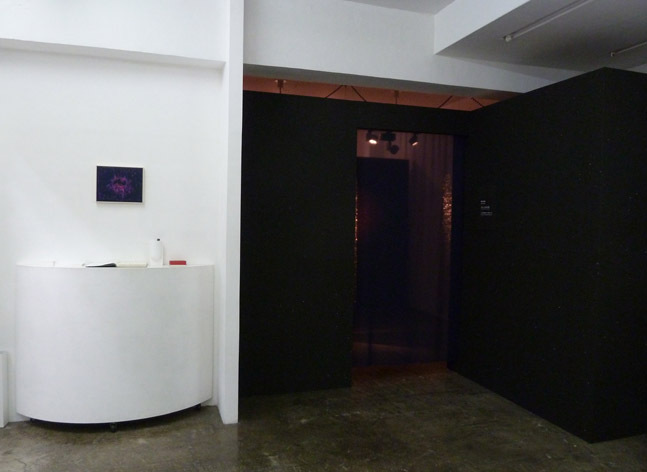 The exhibition by Kenji Kawabata, "Flux of Zero", was held starting on October 17. 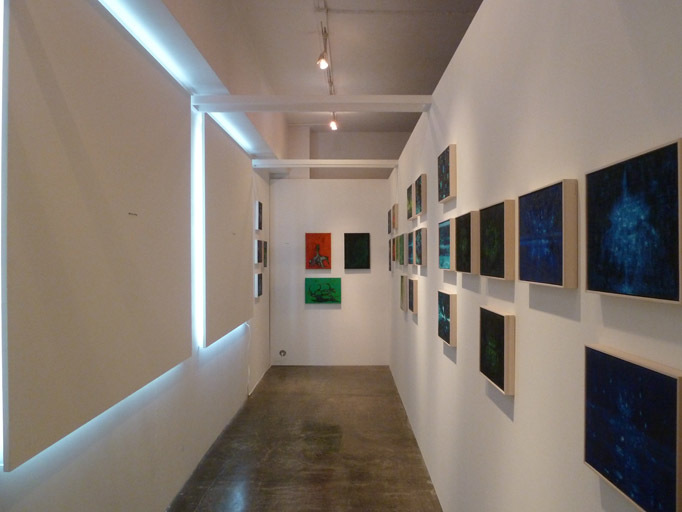 Kawabata has held the exhibition twice at the gallery, themed on "fluctuation" which is the basic principle governing the cosmos. 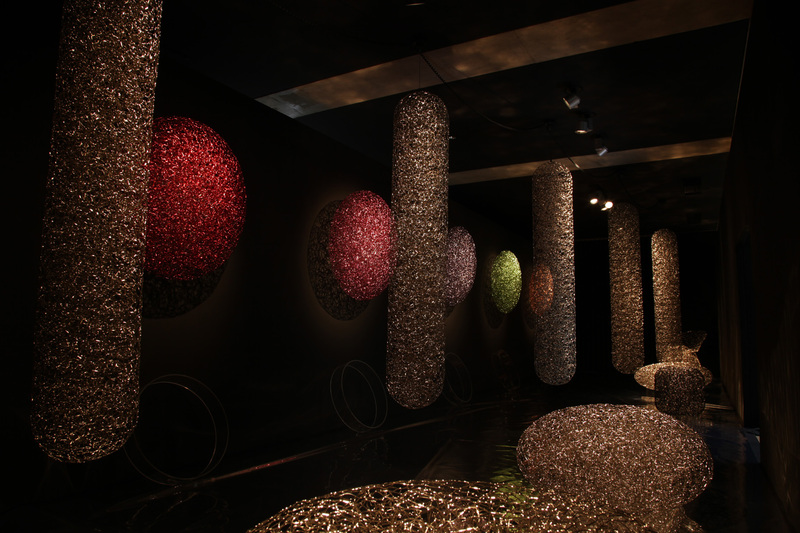 For the third time, he set up the installation which turned the whole site into "Flux of Zero". In addition, he showed about 10 paintings. 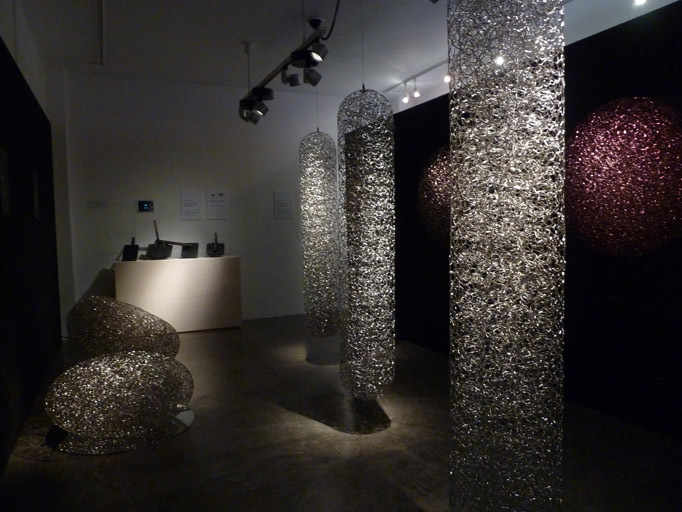 Fluctuations of light in the Early Stage of Cosmos. Fluctuations exist anywhere in the cosmic space. 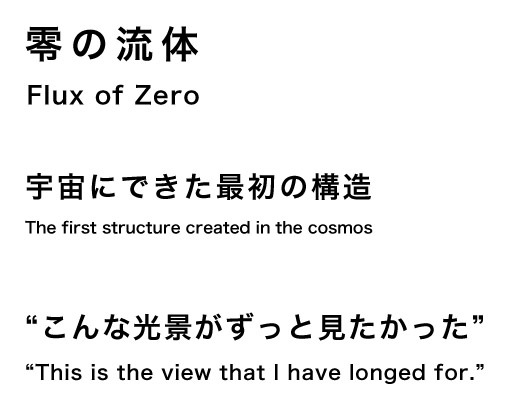 This fluctuation is the basic law of the cosmos.